“This position is one of the most unique because employees have the ability to earn a base salary plus uncapped commissions. I have seen Sales Reps bring in over $20,000 in one month alone,” says CEO Brian Wedding. 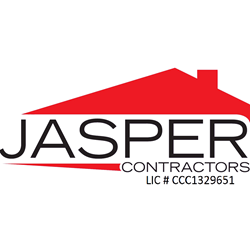 Jasper Contractors, Inc., a high-volume roofing contractor with four locations in Florida, has built a large customer base throughout the Sunshine State. In January the company announced that it experienced 50% revenue growth in 2015 with plans to focus on expansion this year hiring 100 employees. The company is well known for competitive salaries along with achievable bonus structures. In addition to excellent compensation, Jasper offers free healthcare to full-time employees and their families along with dental and vision plans. Company phones, vehicles and fuel cards are also provided to employees who work in the field. Wedding continues explaining that this is a great opportunity for former college students needing to pay off student loan debt, people seeking a career change or for those needing to support their family. Jasper has a variety of positions available, and the recruiting team is actively searching for strong candidates. Jasper Contractors is currently hiring Outside Sales Representatives, office administration, management and more. To view a list of these openings, visit http://jaspercareers.com/jobs/ or contact 800-766-3188. Jasper Contractors, headquartered in Atlanta, has offered exceptional roofing services since 2004. With branches located in Atlanta, Evansville, Fort Myers, Jacksonville, Orlando, and Tampa, Jasper has earned an excellent reputation as the go-to contractor. All company contractors are certified, licensed, bonded and insured. Jasper specializes in offering a no-cost inspection and helps customers navigate the insurance claims process when they have sustained hail or wind damage to their roof. The company provides superb customer service and employs only highly-trained, highly-skilled roof installers. Jasper Contractors, Inc. is a subsidiary of Wedding Holdings, LLC.